Join faithful Catholics in this prayerful petition to cancel Fr. James Martin's Winter Commencement address at Catholic Misericordia University scheduled on December 17, 2017. Calls pro-homosexual activist nun, Sister Gramick, a "saint"
In fact, Fr. Martin's push to normalize unnatural vice inside the Church, prompted Catholic leaders to cancel some of his recently scheduled appearances. The Equestrian Order of the Holy Sepulchre disinvited Fr. Martin from speaking at its gala event in New York City on Oct. 20. And the Catholic University of America also canceled an Oct. 4 appearance by the dissident priest at its Theological College. Sign the prayerful protest. And share it with friends. Dr. Thomas J. Botzman, Ph.D.
To: Dr. Thomas J. Botzman, Ph.D. I prayerfully urge you to cancel Fr. 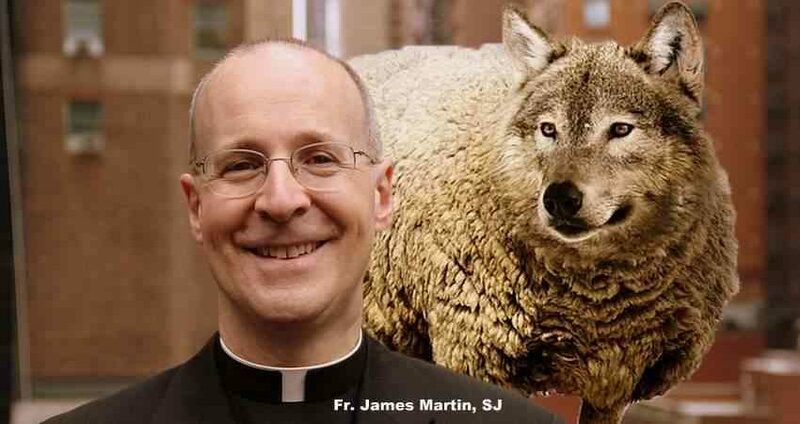 James Martin as a commencement speaker on December 17, 2017 and find a new speaker who respects and loves the perennial doctrine of the Catholic Church. Fr. Martin's public pro-LGBT activism and open revolt against Catholic moral teaching causes scandal, especially among faithful Catholic students. The Catechism of the Catholic Church is clear: Homosexual vice is “intrinsically disordered” and “contrary to natural law” (2357). Therefore, no Catholic campus should sponsor a speaker who publicly attempts to legitimize unnatural behavior that deeply offends God.